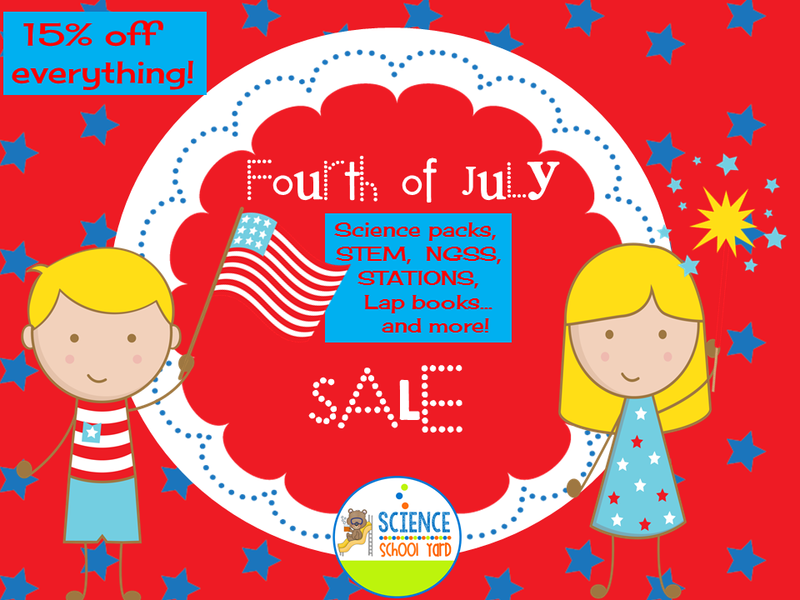 July is like the Saturday of summer! It is also a time to enjoy a great road trip with your family and friends... but it can also lead to "Are we there yet?" There are many ways we try to keep our kids occupied along the way, but you can only play the alphabet so many times. Here are some engaging ideas that can help you pack for an easy car ride. Straws, Masking Tape and Scissors. 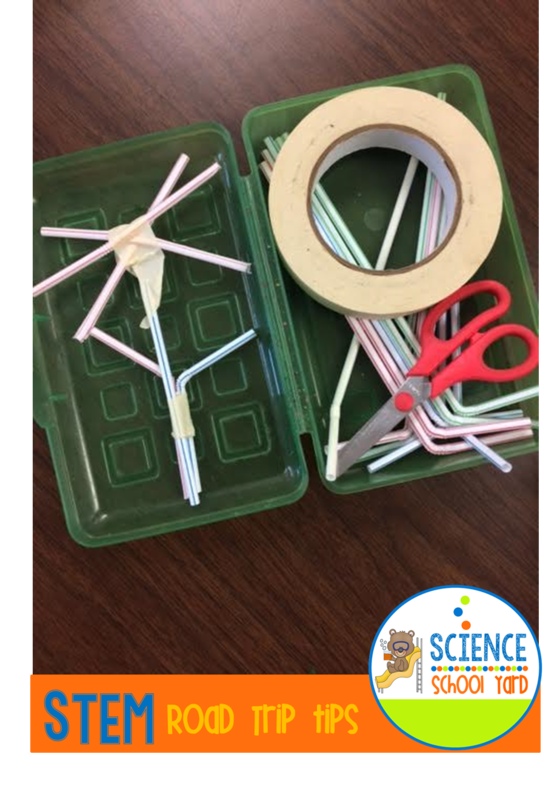 These items are a great way to contain some fun have them build on the top of the plastic lid and you have an easy display. 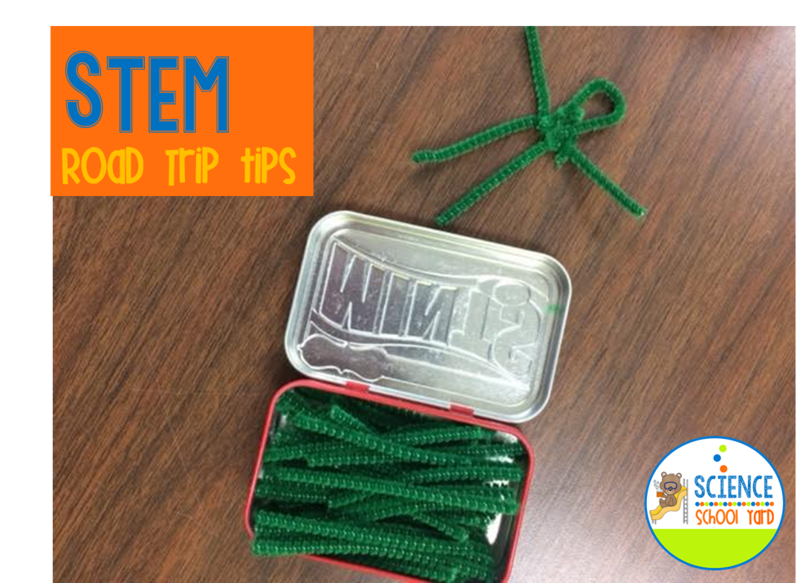 Use an Altoid or 10 container to cut and place pipe cleaners inside. 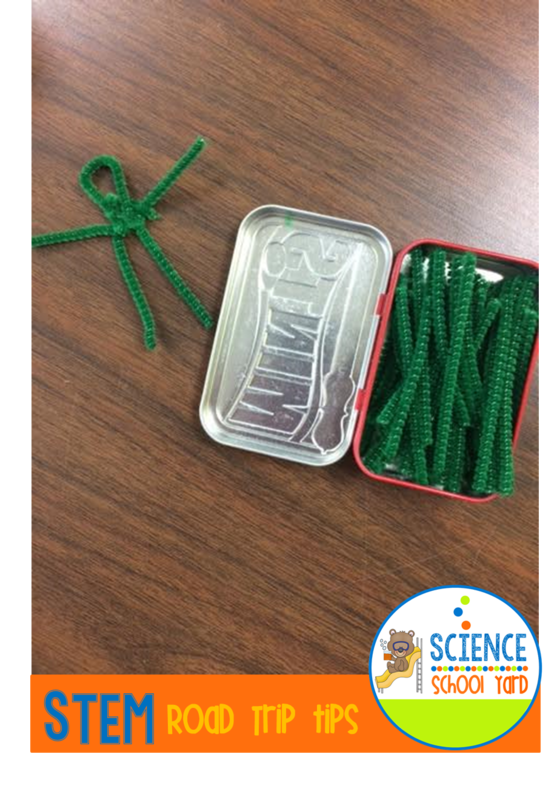 You then have a small little compartment for an easy and quick hands on engaging activity. 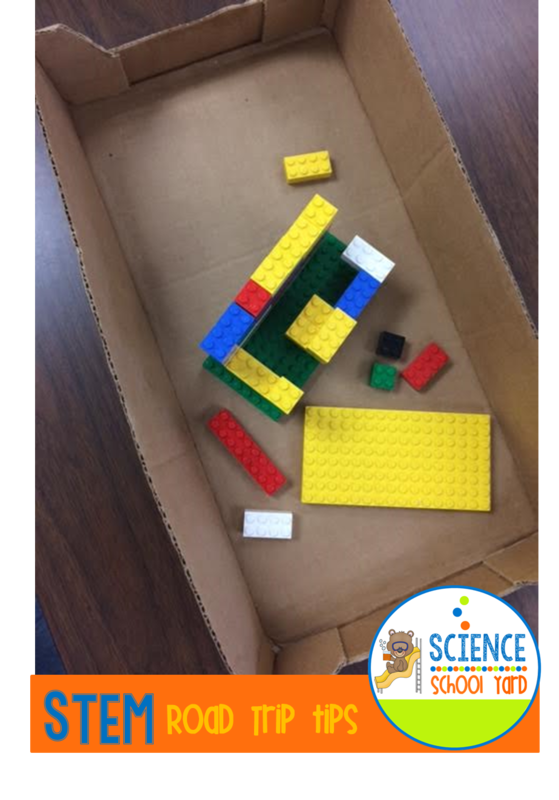 Legos are always a fun and a great hands-on way to build something that they see out the window. gain In order to build it you can always use a lid of a box that you can bring along with a baggie of Legos. Another great activity to do is to bring along Beanie Babies that they just had at McDonald's and some cubes. You can build something for those beanie babies inside that lid and then share it with the people sitting in the backseat with you. Now for the fire works! The finale...how about some stick pretzels and small marshmallows!!! Not only can you build with them but when you're all done building you can have a yummy snack. 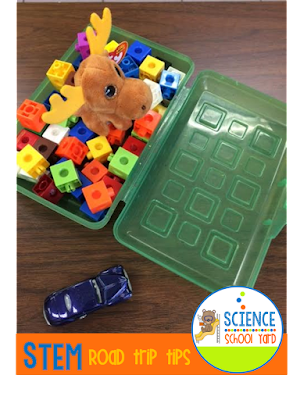 These are just a few quick and easy STEMtastic ideas for your next road trip! not only can you keep them from saying "hey are we there yet?" 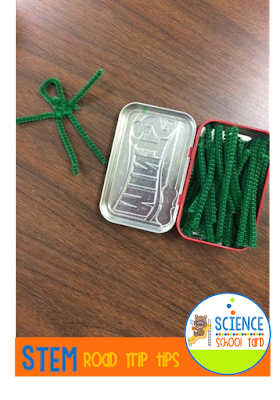 but you can also see how exciting it is for their brains to be working, thinking, and engineering along that way. 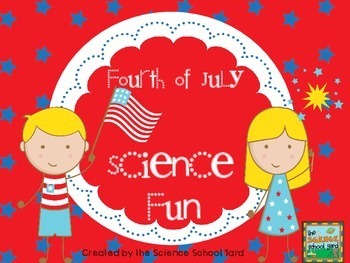 Check out my FREE fourth of July Pack for engaging July activities for at home, on vacation, or in the car! Let's celebrate...this Fourth of July EVERYTHING in my store is 15% off!